Photodynamic Therapy Beauty Hair Equipment, Professional Hair Salon Dryer Machine - High quality Taiwan Photodynamic Therapy Beauty Hair Equipment, Professional Hair Salon Dryer Machine provides by Jean-Modern's Ind. Co., Ltd.
Use the power Light principle, to maintenance the health of head and hair, reduce the pore, the hair follicle jamming. 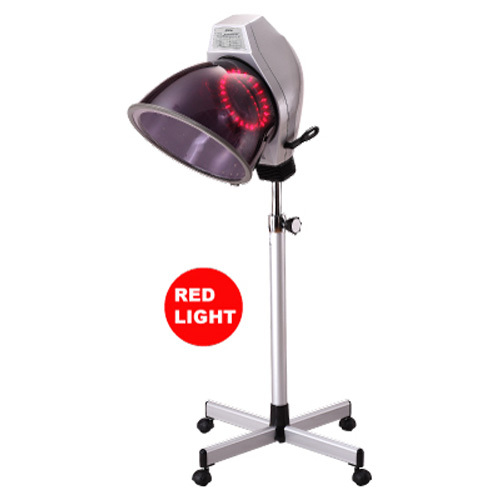 Red Light: the wave length is 630nm, stimulate cells growth, accelerate blood circulation. Green Light: the wave length is 520nm, improve greasy skin of the forehead. Blue Light: the wave length is 470nm, promote collagen's synthesis, contract the pore of the forehead. Yellow Light: the wave length is 590nm, stimulate nerve, enhance the immunity of the head, improve the oxygen replacement.